The prevalent opinion that childhood is a happy time for most people is only one manifestation of our tendency to deny the realities of childhood. Ever since Freud scandalized his contemporaries with his pioneering research into the psychological effects of childhood sexual traumas, child abuse has been a topic laden wth taboos and avoided by most researchers and theorists—a situation that has only recently begun to change. In this course Dr. Moore examines the nature and dynamics of child abuse from a Jungian point of view. 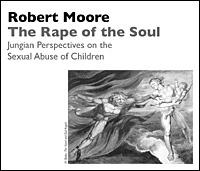 After reviewing available historical and psychological research on the topic, Moore works toward an understanding of the theoretical and therapeutic issues which arise from a close encounter with the horror of these experiences.